A policeman was reportedly killed while 11 other police personnel were injured after militants launched a grenade attack against them in Nowhatta area of old Srinagar on Sunday. According to a police official, the militants threw the grenade on a police party next to Ganjbaksh Park in Nowhatta area of the city at around 7.00 pm when the cops retracted from there after day-long law and order duty. 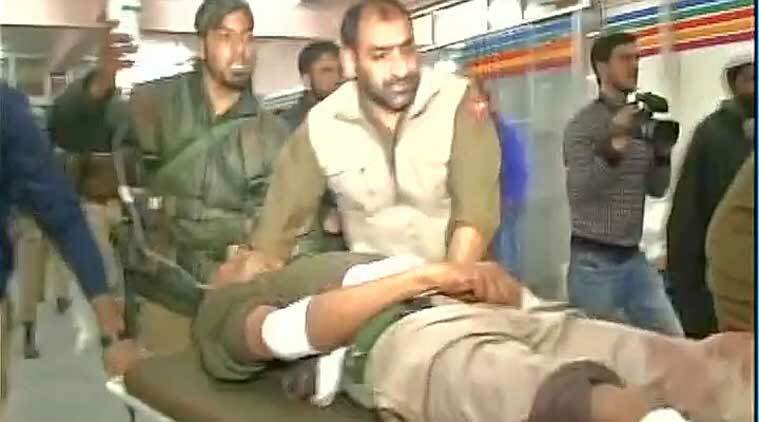 The injured cops (four CRPF jawans and seven police jawans) were immediately taken to a nearby hospital for treatment. The official said miscreants had engaged the cops by throwing stones on them in the same area. Significantly, the attack took place hours after Prime Minister Narendra Modi inaugurated the Nashri-Chenani tunnel on the Jammu-Srinagar highway. Separatists had earlier called for a shutdown to protest Modi’s visit. Speaking at a public meeting in Udhampur, PM Modi had urged the youth of Kashmir to shun violence and asked them to choose between terrorism and tourism.